At Hydroblast, we are committed to providing our clients with a safe, efficient and consistent service. Over the years, this has allowed us to build a strong, long-lasting relationships with returning customers. Recently, one of our clients decided to enter our adapted cleaning method into a health and safety award. Working on an international level, their factory contains several tanks which were previously cleaned using high pressure water jetting lance. We were thrilled to hear that our method was awarded first prize. In the past, our client used to clean their vessels using ultra high pressure hand lancing, which can be a risky process for the operative. In fact, the company even had an accident occur using this method in one of their American plants. Unlike our remote cleaning process, the operative would have faced additional risks associated with entering and exiting the tank. They would have been required to be in the blast zone, meaning there would be more potential for injury. Using a lance was also more time-consuming, and the additional downtime would have resulted in higher costs for the business. We worked closely with the company’s engineering team, developing a strategy to remotely clean the tanks for improved safety. This not only helped us to keep our operatives out of harm’s way, it also provided the company with some important benefits. We’re able to start and stop our pump remotely by placing the control box on the jetting platform. 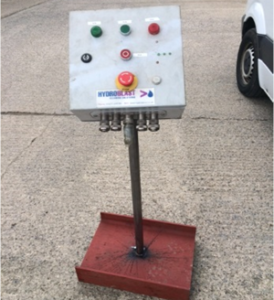 Hydroblast use a tailored no-man entry system for cleaning industrial tanks, designed to keep our operatives safe and away from the blast zone. Our team regularly uses this method which helps to improve the safety processes for both our business and the client. Using equipment such as the 3D Torus nozzle, we are able to enter the tanks remotely and without risk to the operative. Our high-pressure pump which stands outside of the factory also has safety features such as an emergency stop, providing our operatives with more control over the process. 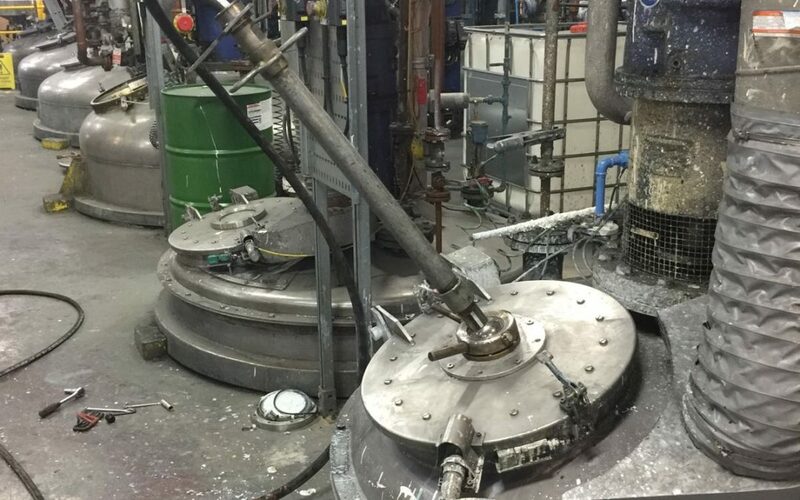 Using our advanced high-pressure water jetting equipment, we are able to clean the tanks to the same high standard as was achieved with hand lancing. Using our remote equipment is not only safer, it’s also more efficient. We are able to have great control over the process, and our accurate and versatile robots achieve quick results for reduced vessel downtime. 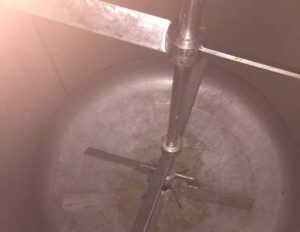 Our no man entry tank cleaning system also removes the need for venting and scaffolding, which were both required for tank cleaning using hand lancing. The tanks were vented to remove any toxic fumes, and scaffolding was rerected and taken down to protect the operative. This process could take up to four days. Unlike hand lancing, our remote processes remove the need for both scaffolding and venting, meaning that we can turnaround the vessels in one day. Our improved water jetting processes meant the company was able to reduce their water usage, reducing their costs and their impact on the environment. To enquire about our industrial tank and vessel cleaning service, please don’t hesitate to call a member of our expert team today on 01677 424 542. Alternatively, get in touch via email at [email protected].